A little girl longs to see beyond the scary sights on the sidewalk and the angry scribbling in the halls of her building. When her teacher writes the word beautiful on the blackboard, the girl decides to look for something beautiful in her neighborhood. Her neighbors tell her about their own beautiful things. Miss Delphine serves her a "beautiful" fried fish sandwich at her diner. At Mr. Lee's "beautiful" fruit store, he offers her an apple. Old Mr. Sims invites her to touch a smooth stone he always carries. Beautiful means "something that when you have it, your heart is happy," the girl thinks. 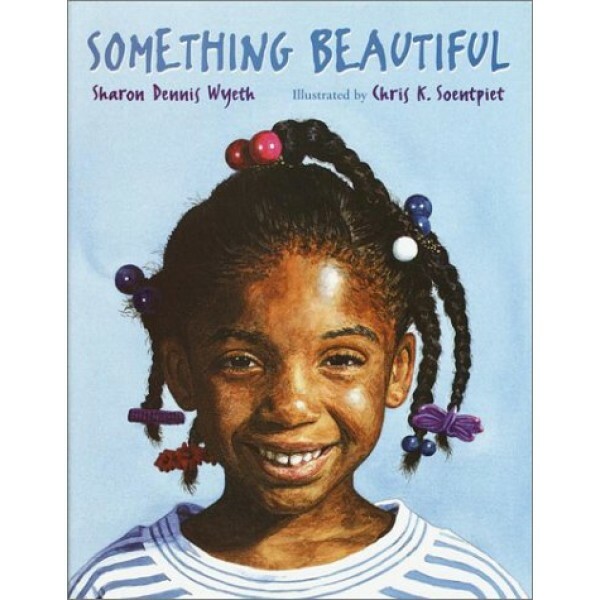 Her search for "something beautiful" leaves her feeling much happier. She has experienced the beauty of friendship and the power of hope. Before becoming an author of children's books, Sharon Dennis Wyeth went through many different career changes. Her first job after graduating from Radcliffe College was as a family counselor at a day-care center in New York City. She then went on to become an actress, producer, and playwright--and, at one time, owner of her own off-off-Broadway theater. She was also a writer for daytime television, a voice teacher, and a Public Speaking Consultant. 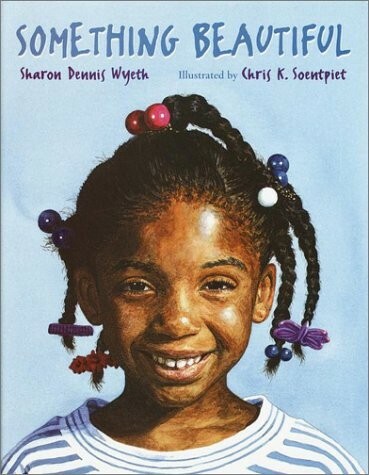 She has been a children's book author since 1985.